3. All straps should be adjusted so that there is tension on all straps. This is important for helmet stability, and the ability of the helmet to do the job it is meant to do. Hint—Try to avoid buying helmets that are difficult to adjust, ie helmets with only one strap can be quite difficult to adjust properly, or that have strap joiners that may slip down in use. You can tell these in the store, if you can move the strap joiner (these join the front and rear straps together) up or down reasonably easily— don’t buy it. In use these strap joiners will slip down towards and under your chin, and once the strap joiner has slipped down, the helmet is no longer correctly adjusted, and may not do its job. 4. THE FINAL GOOD FIT TEST !!! Put your helmet on like in the diagram above, following rules 1, 2 & 3. Stand in front of a mirror (go on—we know you like to look at yourself ). Keeping your head still, rock the helmet forward and back. The skin on your forehead and your eyebrows should move with the helmet. 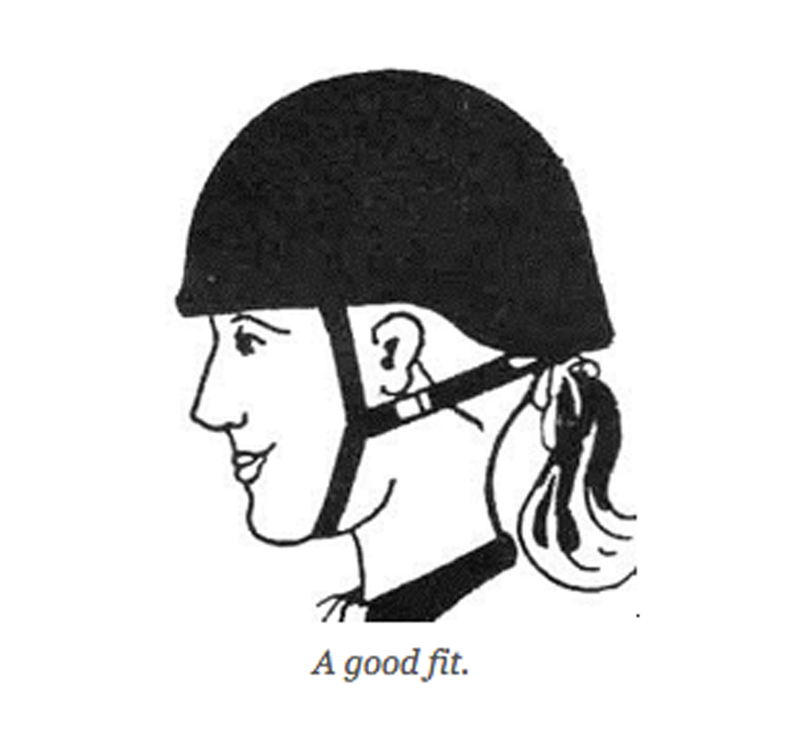 If it does, this means the helmet is a reasonable fit. But if the skin on your forehead and your eyebrows don’t move with the helmet, your helmet may not be a good fit, or it may not be adjusted properly. If your helmet has interchangeable pads, you could try using other (thicker pads). Or if you have a type of adjustable locking mechanism at the back of your helmet, maybe it could be tighter. If these things don’t work – you may have to look at another size helmet, or, as all heads are different, maybe a different style helmet.